Building its first production car in 1960 Heron Plastics of Greenwich, England had already established itself as a Kit-car manufacturer supplying GRP bodies for Austin Seven chassis. 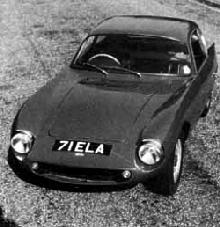 Full production of the Europa model did not get underway until 1962 and lasted only until 1964. Only 12 cars were ever produced.